How do you write about Argentina’s Dirty War, when thousands were disappeared and executed? 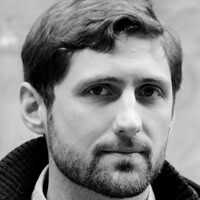 Phil Klay reads Patricio Pron’s new novel, My Father’s Ghost is Climbing in the Rain, and says he’s found the way. Between 1976 and 1983 the Argentinian government “disappeared,” or secretly abducted, approximately 30,000 of its own people. This “Dirty War” began in response to left-wing terrorism and guerilla groups but then rapidly expanded its scope to repress journalists, trade-unionists, students, activists, and alleged sympathizers, resulting in thousands detained, tortured, and killed. Atrocities of this magnitude are difficult to process, and equally difficult to write about in a manner appropriate to the scale of the crime. As Alexander Aitken wrote, facing the impossibility of conveying the Battle of the Somme, "I leave it to the sensitive imagination; I once wrote it all down, only to discover that horror, truthfully described, weakens to the merely clinical." The Dirty War creates a similar difficulty. A simple catalogue—the names of the dead, the methods of torture, the kidnapped children—can only do so much. How, then, to approach the subject? A startlingly brilliant solution is offered in My Father's Ghost Is Climbing in the Rain, by Argentine writer and journalist Patricio Pron. This is the fifth novel by the prolific 37-year-old, who has also published three story collections, but it is his first full-length work translated into English. The book begins in Germany, told by a shiftless, rootless, and decidedly unreliable narrator who admits at the outset, "my consumption of certain drugs made me almost completely lose my memory, so that what I remember...is pretty vague and sketchy." Essentially homeless by choice, he prefers sleeping on a variety of friends' couches to staying in one fixed place, and claims, "something had happened to my parents and me and to my siblings that prevented me from ever knowing what a home was, or what a family was," though what that thing was he doesn't understand. Nor does he evince much interest in his past, saying, "I'm not really all that curious about myself." Unshackled from knowledge of his past and from any sense of community, the narrator at first reads like a modern update of Sartre's Roquentin from Nausea, existing purely in the present and faced with the burden of existential freedom. But where Sartre's existential hero comes to earnestly believe that only the present exists and the past holds no claim on the living, Pron's narrator is engaged in an elaborate dodge. "You don't ever want to know certain things because what you know belongs to you," he writes, "and there are certain things you never want to own." To this end he continually increases his medication until "there was nothing stronger on the market and the doctors looked the way the caravan leaders in Westerns look when they say they will go only that far because beyond is Comanche territory." It proves to be a task beyond pharmacological science, and as the book progresses Pron's intense and exquisitely described interiority of the early parts slowly falls prey to the pull of a personal, communal, and national history that ever more firmly stakes it claims on the narrator. Existential crisis in this reading is not an apprehension of reality, but a symptom of its avoidance. Which is why this book should appeal as much to the lovers of the philosophical or modernist novel as it should to those who, upon their first exposure to Dostoevsky's Underground Man or Hamsun's starving student, felt the urge to reach into the text and slap the main character upside the head. The narrator's slap comes first in the form of the illness of his father, bringing him home from Germany, and then in the form of a lightweight cardboard folder, thirty by twenty-two centimeters, in a pale yellow color, marked with the name "Burdisso." His father had obsessively collected information about the disappearance of a man from the narrator's hometown. Despite all the evidence suggesting it was a fairly mundane, tawdry crime, the disappearance galvanized the community and inspired marches, protests, and speeches demanding greater action from the authorities. The narrator begins working his way though sometimes contradictory documents, trying to piece together not just what happened to Burdisso but why it had such an effect on the communities he used to belong to—his town, the community of journalists who trained him as a writer, and his family. "This crime, every crime," he writes, "has an individual private aspect but also a social one; the first concerns only the victims and their close relatives, but the second concerns us all and is the reason justice is required to intervene in our name." This disappearance, during which the community has the ability to march and protest and exert political power, has become a stand in for all those other disappearances about which speaking up had meant death. And the weight of that historical memory is as present for those who suffered through the Dirty War as it is for their children, all "members of an army defeated long ago whose battles we can't even remember and our fathers don't dare to face." The venality and violence that mark the facts of the Burdisso case fade before the communal need for an impossible catharsis, and where a normal detective story ends with the narrative pointing out a guilty party who will be punished and thus allow the universe to return to a state of order, Pron's narrative points in all directions. The reader is given no comforting or definitive answers, merely a mandate to continue the search. As the narrator himself describes the book, it is "a narrative in the shape of an enormous frieze or with the appearance of an intimate personal story that held something back, a piece of an unfinished puzzle that would force the reader to look for adjacent pieces and then keep looking until the image became clear." It is a technique Pron succeeds at beautifully—showing us enough broken pieces to allow us to imagine what was once whole.